What is a failure resume and is it a good idea to have one? The following is a response to a question I received on Quora regarding a failure resume. A failure resume is one that lists all of a person’s failures with high emphasis on “lessons learned” from failures. It is supposed to highlight the candidate’s ability to overcome obstacles while being “interesting.” I don’t recommend anyone to submit one to a company unless it matches the company culture from a creative standpoint. The risk is too high. The key to a great resume is to emphasize “What’s in it for the company.” While there’s something to be said about a failure resume; transparency, honesty, and humility, how would the company benefit and accomplish their goals? The candidate may have learned their lesson, but what action caused them to actually accomplish a goal? What is the action besides learning a lesson? A company wants to know what a candidate can do and has done, not what the candidate has proven they can’t and didn’t accomplish. 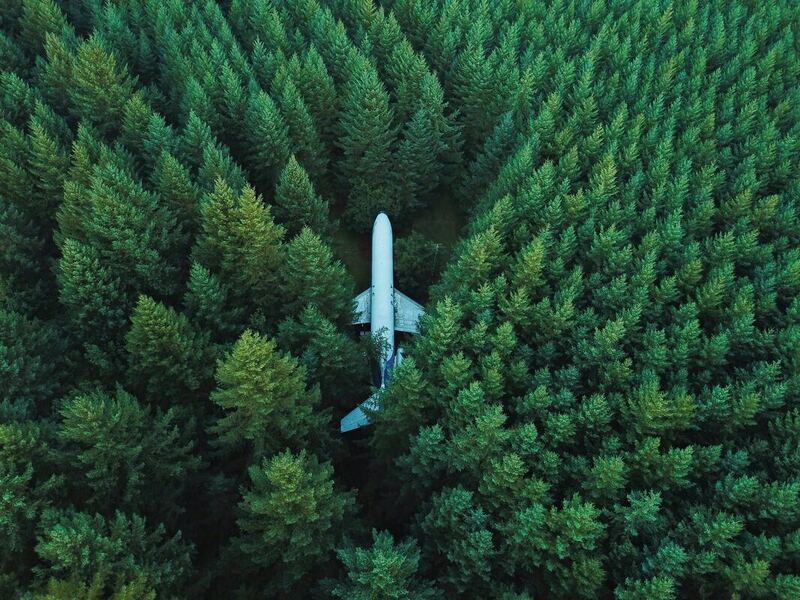 I think it can be a good idea to have a private failure resume with lessons learned to help the candidate realize the good that can come from the experience and help him/her be able to talk to those failures during an interview, but I definitely don’t recommend submitting one to get hired. Who is waiting for you to fulfill your Purpose? Moving Towards Your Purpose In Spite of the Fear. Every day, I get to speak with people who want to improve their lives by finding their next career opportunity. Often these conversations gravitate into them sharing their dreams and their fears of those obstacles that keep them from accomplishing their goals. I am always humbled that they would share intimate details usually shared only with close confidants. I am also amazed that many of them don't recognize their own genius or don’t move forward with their goals due to multiple reasons; usually, all based on fear. If this is your story or something similar, then this post is for you. What do you believe or what do you tell yourself that is keeping you from your purpose or those things that you were created to do? What did you fail to accomplish in 2018 or previous years that while it is your “dream” or “calling” you never got around to doing it because you were afraid? What voices are telling you that you can’t do it; it’s impossible or that you will fail? I’ve heard many of these same challenges in my own journey and for a moment my fear caused me to pause. Note that I said pause. It didn’t nor doesn’t stop me. You see, I decided a long time ago that I wasn’t going to live my life in regrets. I came to that decision in my teens after coming across an article that highlighted the biggest regrets of most people at the end of their lives. It wasn’t making a lot of money or acquiring a lot of material things, but it was not spending enough time with family and not pursuing their dream. So I decided to embrace the fear, make a plan and pursue what I believed to be my purpose. Quitting is not an option, no matter the difficulty. In my life and on this journey, I’ve taken a lot of risks. Some turned out differently than what I expected and some would even be deemed “failures” by others. However, I disagree. Besides, “others” don’t get a vote. 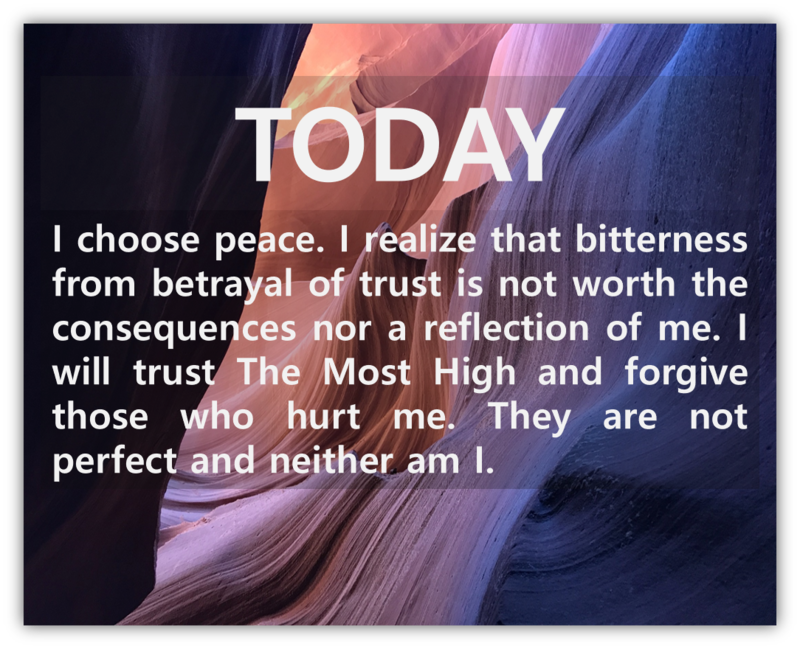 My perceived “failures” exposed weaknesses that I could only strengthen through the fire of testing. Through those “trials” or “challenges” I also realized strength to endure that I didn’t know I had. As a result, I was able to sharpen my mettle and accomplish more than I ever thought I could. I don’t take credit for it. I contribute everything I have accomplished to the faithfulness of The Most High. Even during the toughest times, when obstacles seemed insurmountable, He was there. Somehow, even in those uncertain times, I was able to keep going. Out of those disappointments and the uncertainties I discovered a strength that I otherwise wouldn’t have realized. I learned that the teachings from the bible is wisdom and life. It is the bedrock for my ability to move forward, and I’m so thankful. Of course, I've learned lessons and tips along the way. Allow me to share the tips I’ve learned to make your journey easier. To get those tips and more insight, go to the NetKiEnt Inspiration Blog and YouTube Video, "Who is Waiting On You to Fulfill Your Purpose?" Does preparing for an interview hurt your spontaneity during the job interview? One of the ways I like to give back is by answering career questions on Quora. One recent question is one that I have been asked numerous times and want to share my answer here on the blog. A savvy candidate would definitely prepare for the interview. However, It can go very wrong if the candidate over-rehearses. For this reason, I recommend to my clients to use bullet-points and not remember a script. Focusing more on the script than on the non-verbal cues of the interviewer and engaging the interviewer. Losing composure if the candidate forgets one small word or minor aspect of the script and then obsessing on the miss thinking they’ve failed the question when the interviewer had no idea of what they “intended” to say in the first place. In effect, causing internal drama where none actually exists. Let's Talk! To receive a free consult or schedule interview prep services that includes a mock interview, click here. To view our YouTube Career Channel click here. To review more career advice through the NetKiEnt Career Blog click here. To review more of my career answers on Quora click here. A few weeks ago, I spoke with a client who was distraught over humiliation she experienced at work after learning that many in her office believed she was only promoted because of Affirmative Action. She found it difficult to work because she wondered how many others held the same belief. As I tried to convince and remind her that she earned her promotion, she questioned her abilities. The experience shattered her confidence. I recently uploaded a video on our YouTube career channel that addresses this workplace issue. 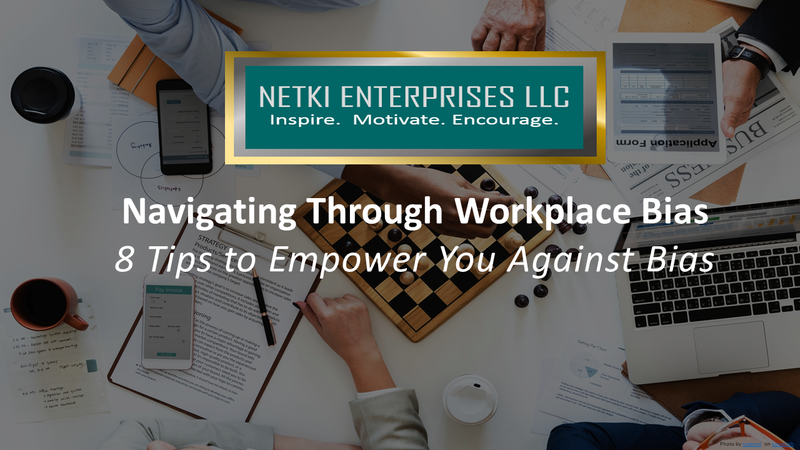 Navigating Around Workplace Bias of shares the experience of many and offers tips that can help those who are experiencing workplace bias. If you have experienced discrimination of any type, report it. If the company has a process, go through the internal process first. The following resource can help determine what can be done: www.workplacefairness.org/proving-employment-discrimination. Don’t be afraid to move forward. Go ahead for that position! "What fear are you allowing to keep you from moving forward in your career? What are you telling yourself when you come across a position or goal that you are fully qualified for but keeps you from stepping out and doing it? Why is it easier to believe that you can’t do it versus that you can? After all, it takes the same amount of energy so why not believe in the positive outcome?" We have updated our privacy information. Effective May 25, 2018. ​You may be wondering why you are receiving so many emails and notices regarding privacy statements. The European Union (EU) has implemented laws called GDPR that provides privacy rights to citizens and empowers them with more control on how their information is used. We have updated our privacy information to provide increased transparency on how your information is used for all of subscribers and customers. We value your information and privacy and have always held a strict policy to not share your information without your permission. Ever. On occasion, we may ask permission of clients to forward contact information to recruiters for job or business opportunities (for our business owner clients). We do use third party applications such as google analytics, sumo, setmore and others who may access information to support services that we provide to you. don't let lack of "experience" intimidate you! What is the best way to write a resume as an unexperienced worker? Writing a resume can be difficult for those who have much experience so it can feel impossible for those who have limited experience. Note that I said “limited” experience. We each have something that we do that we’re good at. Also note that I said “feel” impossible. The truth is it’s not. The key is finding someone who want what we have or who can use your skills. Don’t get caught up in how the resume looks or fancy designs. The key is the content. That is what will get you hired! First do a skills inventory of all the things you are really good at that can benefit an organization. It doesn’t have to be anything fancy, just start listing all of the things you are good at. Maybe you’re a good writer, or you don’t mind doing dishes, or you’re a dynamite cleaner, or your great with gardening. It doesn’t matter just list it. Then make a list of companies or places that can use those skills. For example, don’t mind doing dishes - restaurants, hotels, nursing homes etc…. Someone has a need for just about everything. Would you like to learn more about how to write a STUNNING Cover Letter? 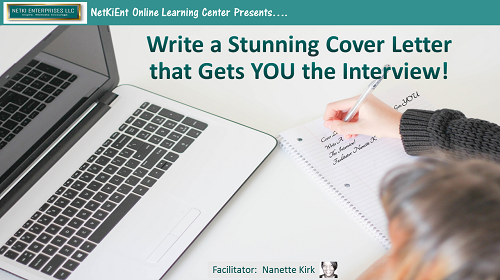 Enroll in our latest course, Write a STUNNING cover letter that will get you the interview! at our Online Learning Center. The course includes 25 minutes of content including worksheets to help organize your notes to write your cover letter. Click on the button below to check out the course!